A beloved holiday tradition benefiting KPFA 94.1 FM Public Radio – a juried crafts fair showcasing over 200 exhibitors presenting affordable art and crafts - with something for everyone. 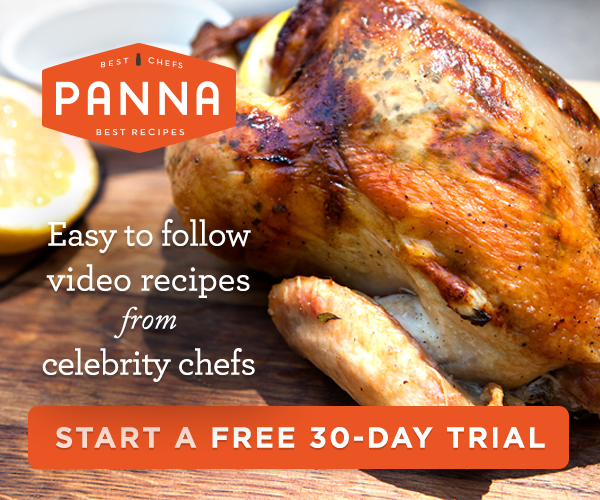 This year introducing ‘Edible Tastings’ where local food artisans serve complimentary samples. The KPFA Crafts Fair features the original work of over 200 exhibitors, a sprawling food court, live on-air broadcast on KPFA 94.1 FM, plus free continuous shuttles to/from the Civic Center BART Station both days. The KPFA Crafts Fair showcases the brightest talents in contemporary art and craft, highlighting both experienced and emerging designers who produce one-of-a-kind, handmade and limited edition goods in a wide variety of media. The diverse and talented artists combine new and traditional techniques with modern design aesthetics to produce fresh, unique and innovative work. All the work is made in-studio and ranges from outstanding wearable textiles, to sophisticated ceramics, luminous glass, innovative furniture and housewares, advanced photography, original screen-printed art, contemporary paper goods and cutting edge jewelry designs. KPFA Radio has a reputation for embracing diversity and supporting local communities through its programming. It applies these same principles to the selection process of exhibitors for the KPFA Crafts Fair. The Fair prioritizes uniqueness and creativity of art and craftwork created in studio (the artist/exhibitor must have a hand in the making of their work), while trying to represent as much variety as possible. Fair producer Jan Etre has been an advocate of artists and craft people for 25 years. Etre explains, "The jury process ensures a wide composition of crafts exhibitors at our show. 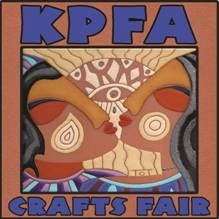 It is the means by which the great reputation of the KPFA Crafts Fair is reinvigorated every year. And so many artists take great care when sourcing their materials, to be responsible to the ecology of our planet and environment." The Concourse will be closing its doors after the event and at this point it is uncertain about where the KPFA Crafts Fair will be held future years. The fair's last year at the Concourse will be celebrated with a two-for-one deal: buy one $10 ticket and your guest enters for free, plus anyone over 65 or under 17 years of age are welcome to attend for free. Left to right: Nat & Ted Groves (Fused Dichroic Glass), Karen Giles Design (www.etsy.com/shop/karengilesdesigns), Theresa Kwong (http://tkmetalarts.com), Heather Graef (www.gstudiostyle.com), Shelly Rae (www.shelleyraestudio.com), Mariana Santamarina (M Clothing), and Judith Greif (www.judithgreifdesigns.com). Rigel Stuhmiller (www.rigelstuhmiller.com), Eileen Goldenberg (www.eileenpgoldenberg.com, Tony Fredericks (www.rigelstuhmiller.com), Jane Kiskaddon (www.janekiskaddon.com), & Lauren Becker (www.recycledglassworks.com). The mezzanine overlooking the fair at the Concourse will host tasty fare and festive acoustic music allowing fair goers to relax, refuel and plan the rest of their shopping. For the first time this year, the Fair offers "Edible Tastings" - where local food artisans who are passionate about their goods serve complimentary samples and sell products that make great Christmas gifts as well as ideal tasty treats for the attendees to bring home. The Fair makes it easy to travel to the event in green style by providing complimentary shuttles from the Civic Center BART/MUNI Station, at 8th and Market and from the Caltrain Station at 4th and King Streets. KPFA 94.1FM is the nation’s original listener-sponsored, noncommercial, public radio station founded in 1949. The mission of KPFA is to encourage cultural diversity and pluralistic community expression; to contribute to a lasting understanding between individuals of all nations, creeds and colors; to promote freedom of the press and to serve as a forum for various points of view, and to maintain an independent funding base.